Twitterature: Girl power | spifftacular. Twitterature = quick reviews of books I’m reading these days, inspired by the brilliant bibliophile blog Modern Mrs. Darcy. This edition of Twitterature is overdue (and, sorry, NOT CONCISE AT ALL)–it’s a summary of books I read mostly last summer and fall that inspired my 31 Days of Girl Power series. This is another book I postponed reading for years. Frankly, I thought it would be too depressing. But once I started reading it, I couldn’t put it down. 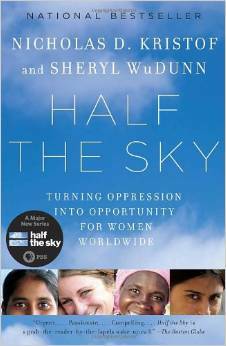 Yes, it details the harrowing experiences of women and girls around the world who suffer from violence, neglect, and oppression. It’s hard to confront that reality, particularly in contrast to my own comfort and freedoms. But the stories of survivors are infused with hope and resilience, and the authors offer pragmatic suggestions for making a difference in the lives of these women. It was painful and visceral to see so vividly that injustice toward females runs wide and deep, even in this supposedly enlightened age. Still, that knowledge drives me to seek ways to get involved in the fight against injustice. 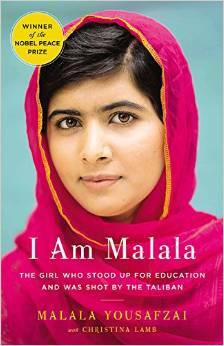 I’ve discussed previously why I’m a fan of Malala. Her autobiography offers details about her infamous experience of surviving being shot by the Taliban, but even mundane aspects of her life demonstrate her courage and conviction. What also shines through is the heroism of her father, who always encouraged Malala to learn and to stand for education. I also appreciated the explanations of the region’s geography and history and a new-to-me perspective on the war in the Middle East. As a teenager when 9/11 happened, I clearly remember the picture painted by politicians, of a people who rose from desert caves and attacked us simply because they hate our freedom. It was easy to project that image onto the entire region. But of course, it’s more complex than all that. 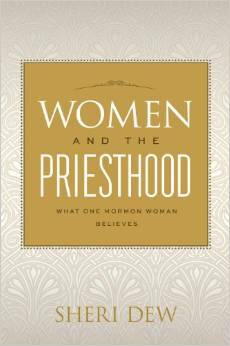 I came into this book with high expectations, hoping it would neatly answer all my questions about, well, women and the priesthood in the Church of Jesus Christ of Latter-day Saints. So perhaps it was no surprise that I was disappointed. First, those are high expectations for any book. Second, though I continue to admire Sheri Dew’s writing and gospel thinking, the approach in this book simply didn’t work for me. Throughout the book, she mentions that she is not concerned about this or that gender-related Mormon doctrine or practice because of her own testimony–which isn’t very helpful to readers like me who picked up the book because they do have concerns they’re struggling with. Furthermore, some of the arguments seem contradictory. For example, she mentions that LDS women in the early days of the Church were more empowered than other women because 19th-century “society at large was still highly patriarchal and, as such, strictly limiting of women’s rights.” Then she mentions the idea that the LDS Church has a “hierarchical structure” where “men make the rules and they enforce the rules.” But rather than refuting the idea, her examples only address how nicely men make and enforce the rules. Which, in my experience, is generally true. But benevolent patriarchy is still patriarchy, which Dew herself defined as inherently limiting to women. It’s something I’m still trying to make sense of. All that said, I still found the book to be full of insights on womanhood, motherhood, prayer, and humility–and most importantly that “the doctrine of the priesthood is known only by personal revelation.” It helped me realize I can’t rely on one book; I need to find my own answers through study and prayer. I was the opposite of disappointed by Women at Church. 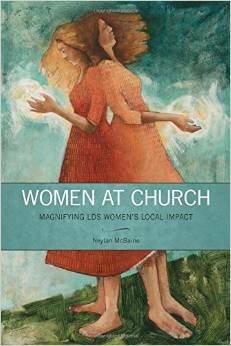 Amidst the controversy about the group pushing for female priesthood ordination in the LDS Church, Neylan McBaine had commented that “ordaining women won’t end sexism.” The premise of her book is that, assuming there were no changes to priesthood doctrine or Church leadership structure, there is still “much more we can do to see, hear, and include women at church.” She suggests strategies aimed at the local level, reasoning that we won’t be ready for systemic, Church-wide change until we exercise our “spiritual imaginations” to implement smaller-scale solutions. The local-only approach isn’t foolproof, but I think the suggestions are a very good place to start, and admire McBaine’s consistently optimistic, pragmatic perspective in this book and on her blog. More broadly, McBaine deftly navigates the myriad paradoxes a faithful person confronts: “How do we reconcile the eternal search for knowledge with the sincere claim that we ‘know’ the Church is true? … How do we honor the prophets, writers, and editors of our scriptures while holding at the same time a concern that half of their populations are silent? How do we reconcile millennia of male-centric priesthood while also having faith in our doctrine of eternal gender equality and Restoration-born improvements for women? … How we do this, how we wrestle with this tension, is a true test of our spiritual maturity.” Fittingly, McBaine advises that through our wrestling, we look to the example of Jesus Christ, who was “mature, principled, and selfless” in even the most vexing circumstances. Rather than tidily answer all my questions, Women at Church articulated my feelings more clearly and concretely than I could on my own, and helped me progress in my seeking. I am in awe of and grateful for Neylan McBaine’s careful thinking and writing. Reading Jesus the Christ was a truly enriching experience. It covers what we understand of Christ’s life and mission, from before we came to Earth, to His mortal life, to the prophecies of His return. Though I have learned about Jesus Christ since I was very young, this book gave a new level of cohesion to His story and helped me better understand and appreciate His love for us all. I know the Bible is filled with wonderful eternal truths, but I have a hard time getting through the violence, slavery, and women-are-unclean-and-property business. The real challenge is to discern which painful elements were not of God and simply due to the failings of men, and which were OK but have become obscured because we lack the historical, social, and theological context to understand their value. 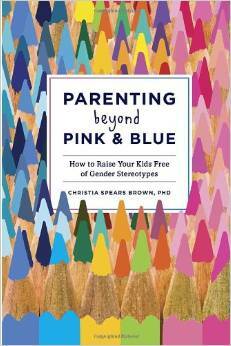 This book offers a solid evidence-based approach to understanding gender differences in children. 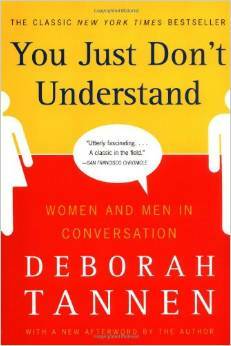 (It was a great complement to reading about adult gender differences in Tannen’s book.) 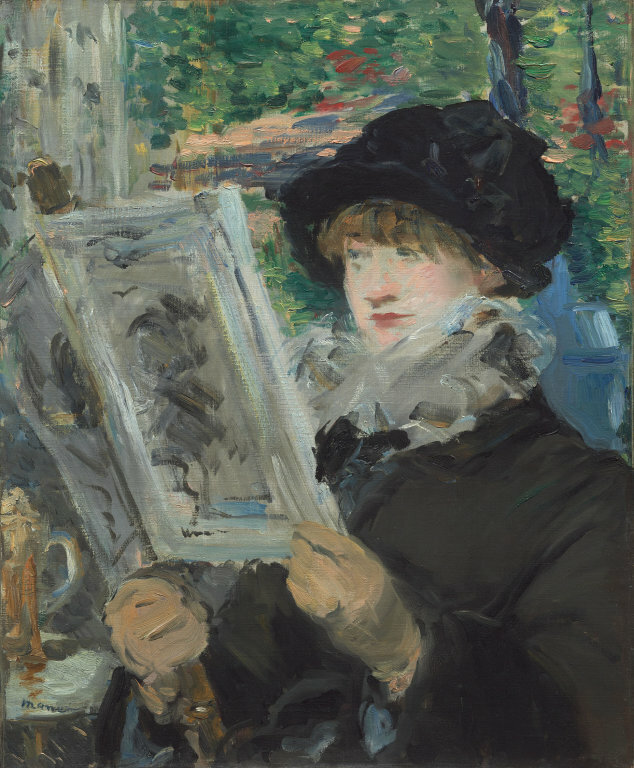 The book is dense with research and analysis, yet thankfully avoids opaque academic writing and instead opts for straightforward prose and clearly organized points. Plus, the author tells her own stories from the front lines of parenting as well as research to make sense of the concepts presented. Though I agree with many of the author’s conclusions, I liked that the book was focused on research, so I could assess the evidence and draw my own conclusions. 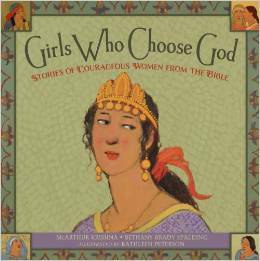 This is a lovely new children’s book about women and girls from the Bible, with a focus on courageous choices they made. 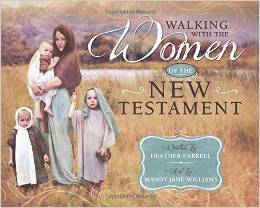 The book highlights well-known ladies like Eve, Mary, and Esther, and lesser-knowns like Zelophehad’s daughters. The storytelling is inspiring but not preachy, and the illustrations are absolutely beautiful. OK, so technically I haven’t read this yet. But I’ve read a handful of articles about it, if that counts for something. Matter magazine did a series of interviews with people about each chapter and how the book, which was written in 1991, relates to today. 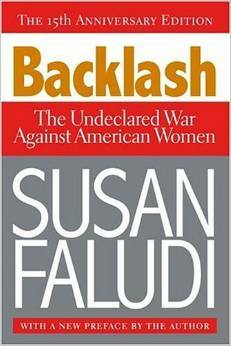 Falaudi argues that the 1980s saw an anti-feminist backlash, led by the mainstream media, basically telling women that they were only unhappy because they were too darn liberated, and the cure to their alleged unhappiness was to return to their traditional status/roles. It was, Falaudi wrote, an “attempt to retract the handful of small and hard-won victories that the feminist movement did manage to win for women.” When I actually get around to reading this book, there will definitely be a full post about it. Now I have so many more books I want to read! ☺ Very interesting Holly.